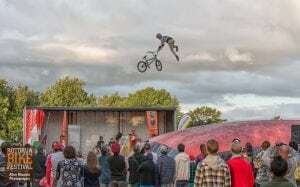 Velocity Valley is proud to open the Rotorua Bike Festival with this show stopping event! 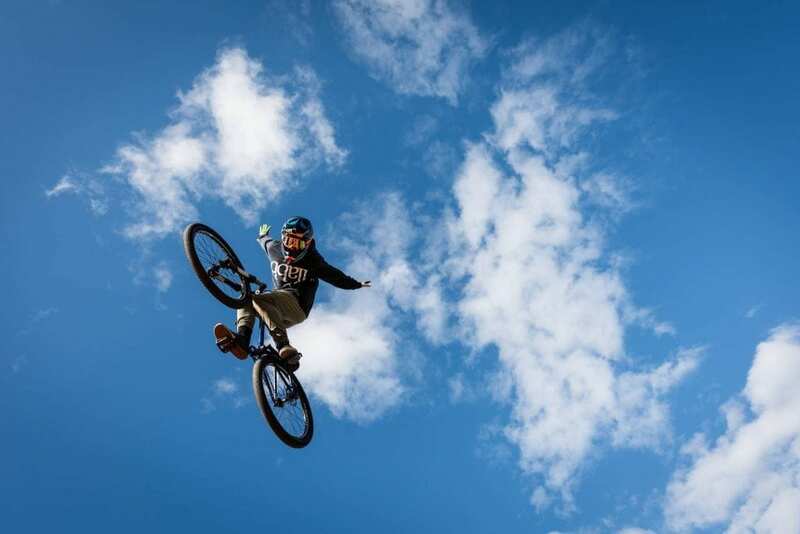 Big Air, Big Tricks, Big Risks followed by Big Applause, this is what its all about. The mammoth 15m x 10m Freestyle AirBag will be transported to the Lake Front Village Green for the 2nd time on Friday, 19 October 2018. 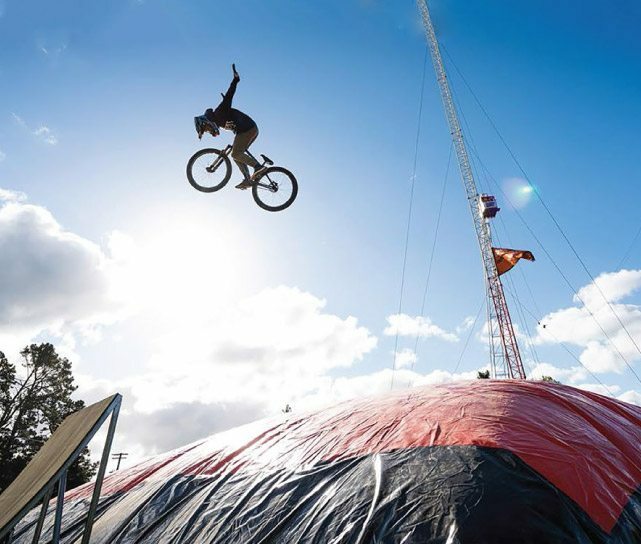 A 6-metre high purpose built drop-in ramp will set the stage for riders to gather speed before choosing one of two ramps to perform their aerial stunts. Riders will have the opportunity to lay down some big tricks, impress the judges and compete for cash prizes and spot prizes. If the 6-metre ramp seems to big don’t worry we have a smaller 3-metre drop-in ramp too, so no excuses for not being able to attempt this AirBag. Free for spectators so bring the family down to the Village Green and be entertained. Our MC will ensure you are up to play with what tricks are being executed and he will have spot prizes to hand out also. Helmet, we recommend a full-face but this is not compulsory. Covered Elbows and Knees with either specific protective padding or clothing. The event will commence at the Lake Front Village Green, Rotorua on Friday 19 October 2018. All riders will be entitled to 2 practice jumps (more if time permits), followed by 3 official jumps which will be scored by the judges. The top 3 riders from each category based on the scores will move to compete in the finals. The finals will directly follow the heats where riders will be entitled to 2 official jumps which will be scored by the judges. Finals will see each selected rider attempt 2 more jumps each where each riders scores will be combined to give the overall champions.